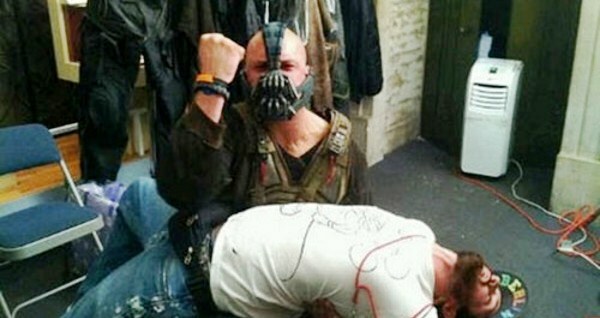 Tom Hardy (Bane) showing his back-breaking move on a hapless crew member. Why is Batman driving a Lamborghini? Will Herman Munster be a cannibal? How much does the Batmobile cost? Which episode of Star Trek: The Next Generation is 'embarrassing?' Where are they filming the Japanese movie Wolverine? An avid movie buff, Christopher Nolan put the cast and crew of The Dark Knight in a four-day boot camp of eight films whose tone he wanted to emulate. What were they? Easy: Name three cast members that appeared in MiB and the sequel MIIB. "Tommy Lee Jones, Will Smith, and Rip Torn were all in Men in Black I and II." - Alex C.
"As I recall Agents J and K, Zed, the pug dog Frank, and whoever Tony Shalhoub played all reappeared in the first sequel. Probably a couple others I can't remember" - Pat D.
Hard: Which director turned down the job because he felt it would "just be Blues Brothers in space?" John Landis, who directed The Blues Brothers. He says he regrets that decision now. Some of this might be familiar if you subscribe to our Twitter feed @TheGeekTwins. This weekend, William Shatner's newest documentary "Get A Life" airs on Epix. Here's how you can watch the documentary for free on Epix. 10 Fan Made DARK KNIGHT RISES Posters actually worth hanging. A lot of people are scared to go the movie theater after last week's shooting. That's understandable, but Pat Dilloway said it best. "On a side note, I hope people come out and support the film. You shouldn't let the actions of one lunatic stop you from living your life. That's what we all said after 9/11, right? And it's still true in this case." Andrea tipped us to this cool infographic! The Cost of Being Batman. I don't like to nitpick, but how do we know how much it costs to make a Batmobile? Even though we thought she was dead, River Song will be back in Doctor Who Series 7. Producer Caroline Skinner calls her the "Queen of Mischief ." 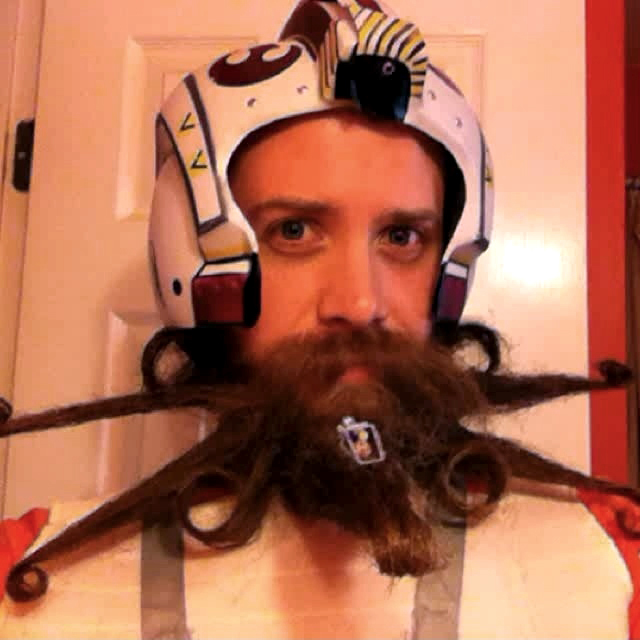 The force is strong with this Star Wars X-Wing Shaped Beard. Would you grow this beard? I missed the screen of Star Trek: The Next Generation Monday so I could see The Dark Knight Rises. Did anyone go? How was it? 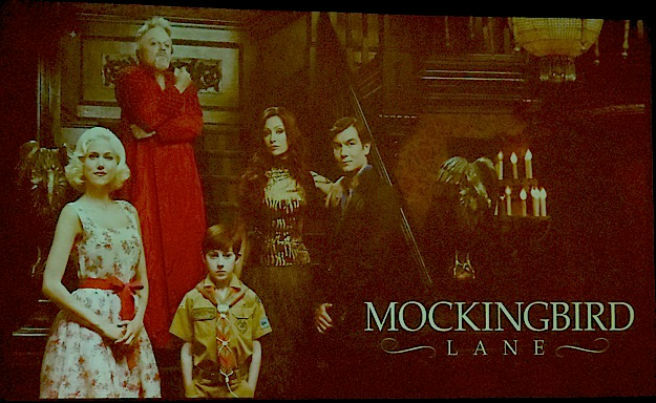 Check out the surprising look of NBC's Munsters reboot 'Mockingbird Lane.' The show will be very different from the sit-com. How different? Bryan Fuller said "they eat people." Will you be watching? Wil Wheaton, who played young Ensign Crusher on Star Trek: The Next Generation, called the first season "embarrassing." He said, "...And the entire first, almost first two seasons have some incredible high points like "The Big Goodbye" and some really embarrassing low points like 'Code of Honor.' I’m really grateful that we were given the time to sort of find ourselves and figure out exactly what this show is about because by the time Next Generation gets to season 3, 4 or 5 I think its some of the best science fiction that’s ever been on television." Do you agree? You've seen our Man of Steel Trailer with the voiceovers combined. Now watch it dubbed with Marlon Brando's voice. I might be wrong about them never filming Hugh Jackman's Wolverine. They started shooting Japan in...Australia? That doesn't mean it's going to be any good though. Christian Bale, who played Batman in the Nolan films recently visited victims of the movie theater shooting. But there's another Batman giving people hope. The 'Lamborghini Batman' paid $250,000 for a custom Batmobile replica to visit sick kids across the country dressed as Batman. That's a hero to me. Before filming, Nolan had the cast watch: Heat (1995), Cat People (1942), Citizen Kane (1941), King Kong (1933), Batman Begins (2005), Black Sunday (1977), A Clockwork Orange (1971), and Stalag 17 (1953). William Fichtner, who played in Heat was given a cameo as the bank manager. Rutger Hauer was cast in Batman Begins and Nolan has said Blade Runner also inspired the film. Bonus Trivia Question (The first one with the right answer(s) get a nod next week. Hard: During the opening bank robbery, the Joker wears a rubber mask. Cesar Romero in the 60s TV show Batman wore a mask that was almost identical. Which episode was it and why did he wear it? And that's cool about the Batmobile replica visiting sick kids. I can see why Nolan chose the movies he did for the cast to watch. Heat is a classic. Michael Mann can do no wrong, either. Also Michael Caine, but you only said three. The first season of Next Generation is hugely embarrassing compared to the rest of the series. The second season is less so, but it doesn't match up all that much better. It's like a whole new show was launched at the start of the third season. That was the true birth of that particular era of Star Trek, which didn't end until 2005 (some would argue 1999, with the series finale of Deep Space Nine, or the even less generous fans would say 1996, with the release of First Contact; yes, I overthink these things). Jeremy lots of Batman news this week. Inception is mind blower. The hotel scene is the best.